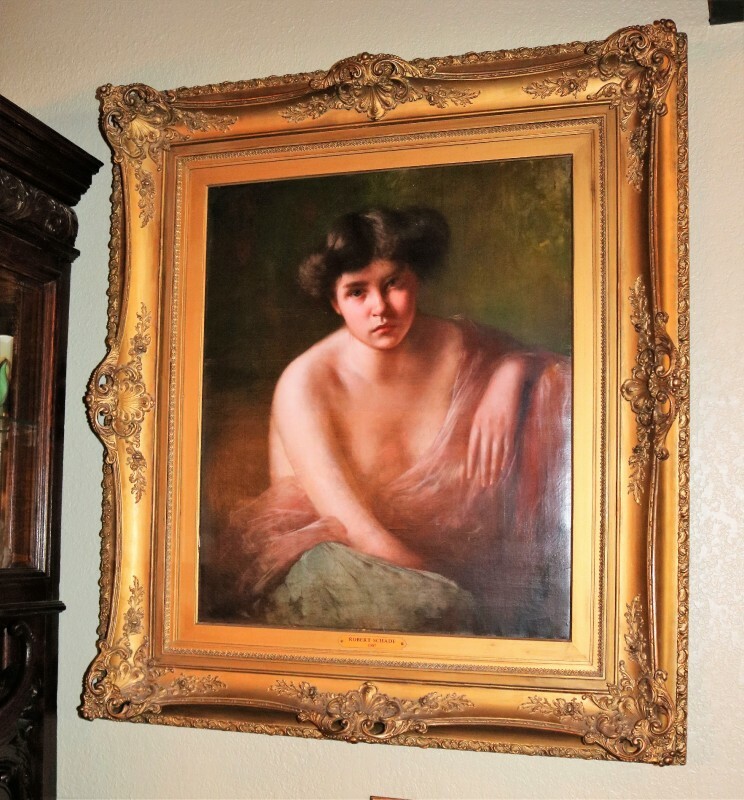 This Original Oil on Canvas was painted by Robert Schade in 1907 and is a truly fine example of his talent and and the flawless frame matches his amazing work. Circa 1907 39"W by 44" W.
Robert Schade was only two years old when his parents moved to Milwaukee. 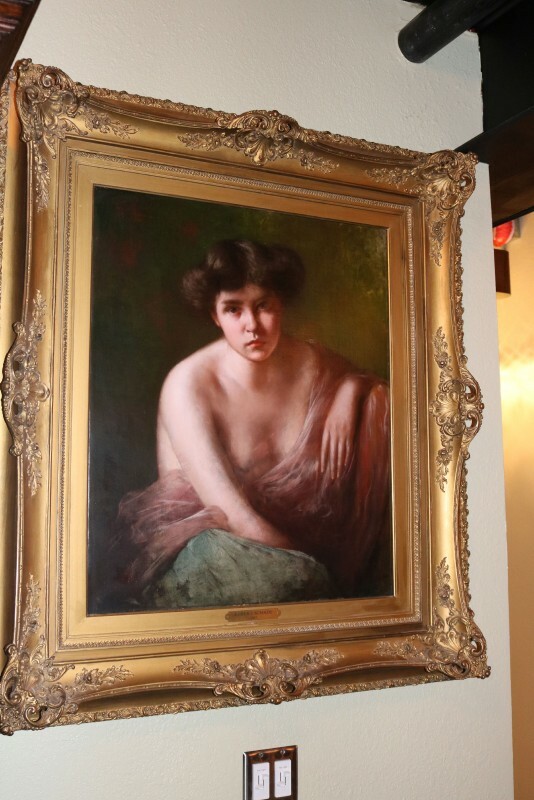 He began his formal art instruction in 1876 under Gugler, Kurtz, and Henry Vianden. He became Vianden's prodigy, spending two years as his private student. 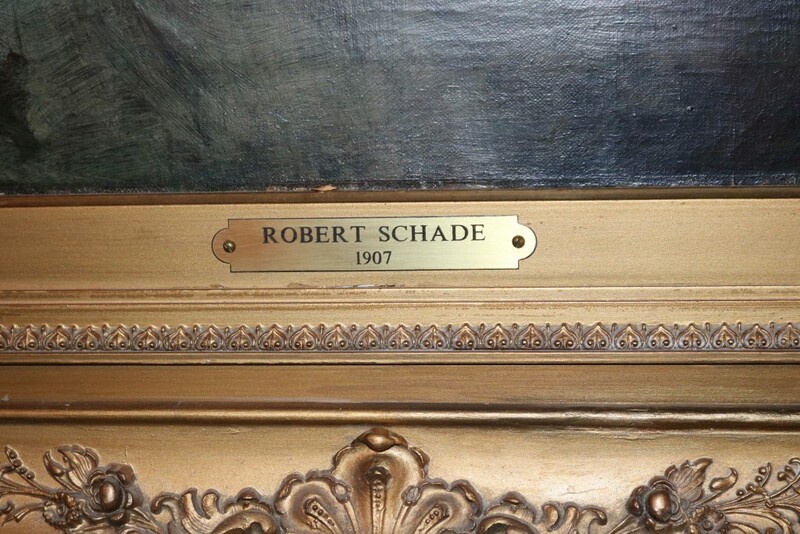 At the same time, Schade took drawing lessons at the lithography and engraving school. In 1878 Schade continued his education at the Royal Academy of Fine Art in Munich, Germany. He studied drawing from life under Julius Benezier, drawing from the antique under Alexander Strachuber, and painting under Alexander Wagner. He spent the next several years traveling back and forth between Germany and Wisconsin in order to further his studies. In 1885 Shade joined the American Panorama Company, documentation suggests that he worked on the Storming of Missionary Ridge / Battle of Chattanooga, and Battle of Atlanta through 1886 and soon after began teaching art at the Wisconsin Art Institute, the Art Students' League, and was a member of the Society of Milwaukee Artists, later known as the Wisconsin Painters & Sculptors. He also conducted a drawing-from-life class for engravers and lithographers. 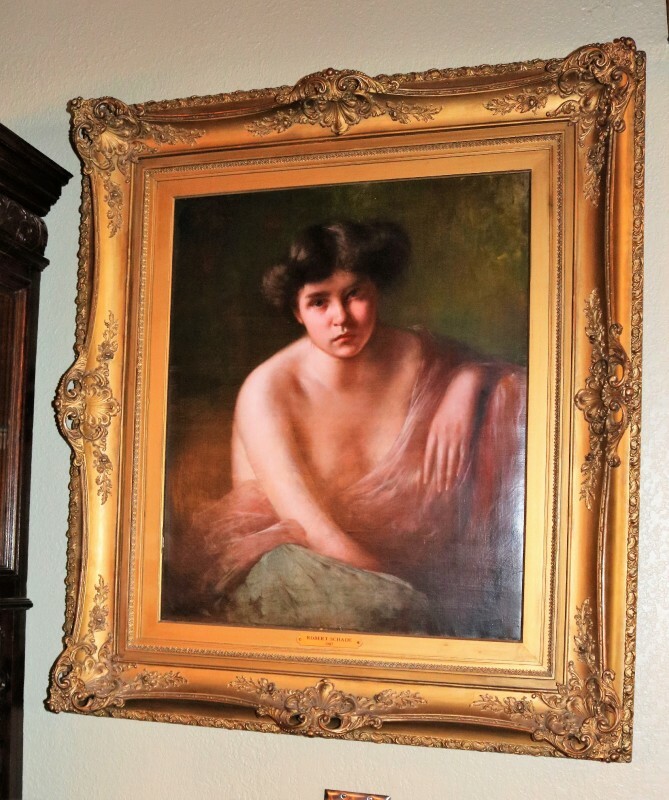 By 1889 he had taken up permanent residency in Milwaukee and was actively engaged in painting portraits, figures, and still life at his studio. He is remembered primarily, however, as a portrait and still life artist. His dramatic compositions and interests in texture reflect the Munich Academy's influence. 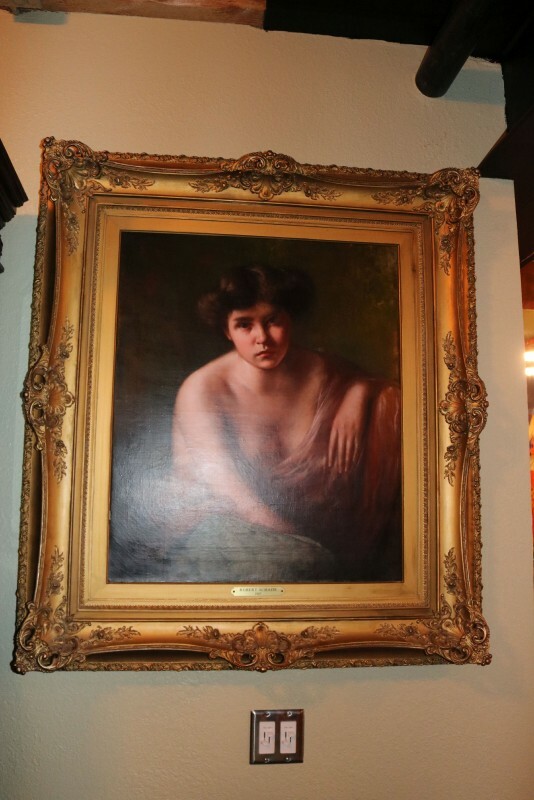 In 1891 he won a $100.00 prize in the Milwaukee Art Association Organization.